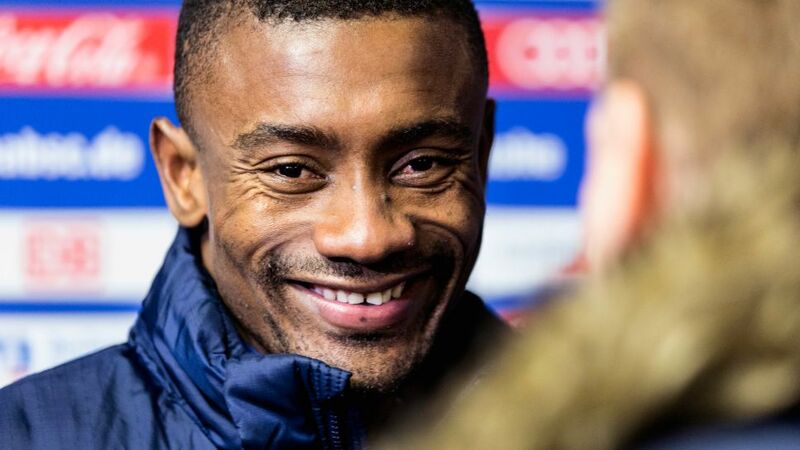 Following a few difficult weeks due to off-field events in his private life, Hertha Berlin forward Salomon Kalou had reason to smile once more after scoring a hat-trick in his side's 3-0 win at home to Borussia Mönchengladbach on Matchday 10. In an exclusive interview with bundesliga.com, the 31-year-old Côte d'Ivoire international discusses his improving form, Hertha's development and his aims ahead of the winter break. Fancy adding Kalou to your Official Fantasy Bundesliga team? Head here to sign him up now! bundesliga.com: Salomon Kalou, how do you feel after scoring a hat-trick against Gladbach? Salomon Kalou: It's unbelievable. I haven't felt this good in a long time. I'm very happy. The last few weeks have been anything but easy, but I'm feeling that my fitness is steadily improving. bundesliga.com: So are you back in top form now? Kalou: These three goals show that I'm getting back to my best. Now I want to continue performing like this and win back my place in the team. bundesliga.com: With almost a third of the season now gone, how would you analyse the campaign so far? Kalou: After we were knocked out of the Europa League qualifying rounds by Brondby, a lot of people expected us to have a lot of problems in the Bundesliga too. But obviously we're very happy with our results so far. We're also happy with our playing style, which is attractive and successful. It's no accident that we're in fourth. We deserve to be there. The chemistry is good. [Dardai] can always rotate and bring in fresh legs. That's helped us become more unpredictable. bundesliga.com: What is Hertha's biggest strength this season? Kalou: Our efficiency. Right now we don't need ten chances to score, which is different from last season. Now we're a lot more clinical in front of goal. We're also a bit more solid and compact at the back, and we hardly let our opponents create any chances. bundesliga.com: Hertha travel to FC Augsburg on Matchday 11. What are you hoping for from that game? Kalou: Augsburg are famous for being good at home. It'll definitely be hard work and no walk in the park. But if we play with the same self-confidence and unity, then we can pick up all three points in Augsburg. That's our aim. It's also important to stay humble and keep working hard, without paying too much attention to the table. We'll only be able to take stock properly during the winter break.